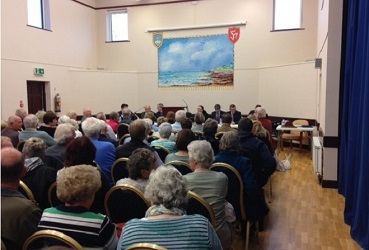 The Civic Centre in Castletown was packed out last night as candidates in Arbory, Castletown and Malew faced three hours of questioning. It provided the public with their first chance to address all those standing in the constituency. Miriam Garlick was able to ask her question about the housing policy in the area.